Disclaimer: This post was in no way written to marginalize missions and the great importance of missionaries, nor was it intended to be used to excuse unrighteous judgment and decisions in any way. Its purpose is to hopefully remove stigmas that I feel are not Christlike. It's a hard world we live in, and we cannot allow the environment in our wards and hometowns to be just as hard for someone who is struggling. Be kind. I remember sitting in my young women's class one Sunday with a bookmark-length piece of paper my leaders had passed around resting on my lap. 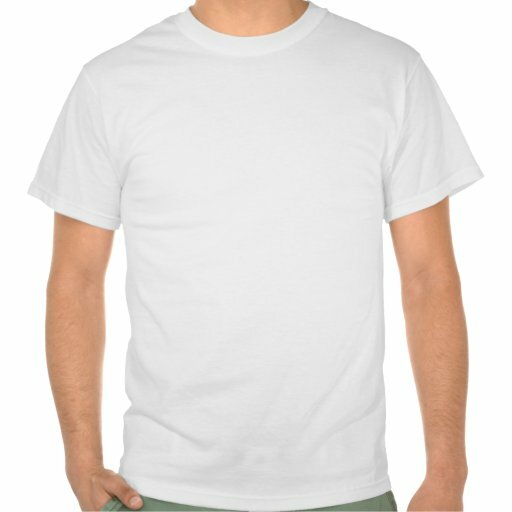 Dotting the top and surrounded by curling filigree were the familiar words "What I Want in a Future Spouse." I wrote down some stupid things, like dark hair and beautiful brown eyes or someone who is tall -- it's really funny to see how preference changes over time -- but then there were more important and personal things, too, some that, as a girl, I don't think I understood fully. "He must honor his Priesthood." "He must be able to look past my weaknesses." "He should talk to me about important things." And then, near the top: "He must be a returned missionary." I must have written that last one dozens of times, spurred on by well-intending leaders who made sure that we knew the importance of a mission. I'll admit to picturing a handsome young man, home from an international mission with lots of stories and a new-found love of a culture. We'd decorate our first home with flags and native prints and tell our children his stories. That, in my head, is what it would be like. It's been four years since I left the Young Women's and a lot has changed since then. My list is no longer hair/eye color focused and I've become incredibly picky when it comes to the spiritual things. I, like most people, I'd imagine, regret that I found certain traits so important, and as I get older, I find myself regretting unexpected things. Namely, I regret that "Returned Missionary" had such an unshakable place on my checklist. By saying that, I realize full well that I'm stepping into an area of scarlet letters and glaring taboo. It is not socially acceptable where I am from to admit that you're not necessarily looking for an RM. I'd imagine that's the case for most of you reading this as well. A lot of you have sat through Sacrament meetings where proud fathers talk of their sons who have returned from serving "honorable" missions. A few of you, like me, have probably gone on dates with some of these RMs who unintentionally use their missions as social/romantic leverage. It happens a lot. The question I have is this: what are we really looking for? In all of our searching for a potential spouse, is there something else we need to be focusing on? In my opinion, the answer to that second question is yes. Truth be told, we've gotten ourselves into a seriously nasty predicament and a very un-Christlike attitude, I'll add, without noticing because we're so focused on the current mission status of the young men in the church. We have a problem, and it's a problem that stems, in part, from a generation of young women who were told "RM or bust" from a very young age. I'm not saying we should completely throw out the idea of dating an RM, but that we shouldn't let that define who we date. We are so consumed with returned missionary status or the lack thereof that we completely disregard what I feel are the most important qualities to seek in a potential spouse: outstanding character and temple worthiness. In doing so, we are marginalizing dozens of worthy young men and sometimes justifying the less-than-honorable actions of the young men considered honorable for serving. I never realized that this was an issue within LDS culture until I was sitting at Angie's Diner, cleaning "The Sink" with some friends and listening to one describe the dating climate at BYU. She told us of a guy she knew who was perfectly worthy, but hadn't served a mission or only served for a little bit -- I can't quite remember. He was on a date with a girl, and when the mission question came up and he had nothing to say, she reacted as if she'd tasted sour milk. The date was basically done for her at that point, and he was left gutted and wounded. I remember sitting in our little booth and feeling my forgotten ice cream melt on my tongue as I listened, disgusted. That night was a tipping point for me. These stories didn't just go away after that night -- in fact, I heard many more of them, some affecting incredible young men that I had the chance to interact with through my calling this year. It is no exaggeration whatsoever when I say that these men are the closest to the Savior that I have ever met. That being said, I have listened to their stories and have had a taste of their pain as they have explained why dating is so hard for them, how they were willing to serve a mission and wanted to, but all girls and all anyone, for that matter, ever sees is how they didn't serve or didn't make it through the two years before being sent home. Some of these young men don't even bother dating to avoid the pain of rejection. In the church as a whole, some go completely inactive and don't even bother to try anything. They are consistently hurt by girls like me, and that hurt isn't a mere cut, but a deep wound. Though valiant and temple-worthy and doing all they can to become like the Savior, they are tossed aside because of how they spent or did not spend two years of their lives. The pain of that is something I can only imagine. It's honestly a little superficial for me to say that my friends' experiences are the "close to home" hitters when it comes to missions. I myself am the product of a temple marriage, not between a girl and what many of us consider a typical RM, but my mother and my father, who came home from the London, South mission early due to medical issues (I'll add that I have met people who would say that that is dishonorable, who would erroneously assume that he got sick because he wasn't righteous enough. They are horribly misled. My dad is one of my greatest examples of strength and testimony.). Luckily for my siblings and I, his sickness, something out of his control, wasn't the issue for my mother, but, rather, whether he could take her to the temple or not. That is what mattered to her, and I am here and can spend eternity with my loved ones because that is what mattered to her and to my dad, too. To the young women my age, I plead, as President Uchtdorf did, stop it. Use discretion, but righteous discretion. We are quite literally isolating and emotionally abandoning a group of young men who are worthy of and have the desire to be sealed to a spouse, but haven't yet reached that point in their progression because "medical leave" and "wasn't able to serve" have been made into leprous stigmas in LDS dating culture. Dating, though the main focus of this post, isn't even the only sphere where this happens; as communities and wards, we sometimes turn blind eyes toward these young men (and young women, too) who come home early or stay home, as if it burdens us to associate with them or as if we're ashamed to know them. In their moment of dire need, we abandon them merely because we don't want to look bad. The honorable, two-year RM is laudable. Missions change lives and do so much good. But sometimes we use the honorable RM as an image, an idol, if you will, that we cling to and seek in our loved ones and neighbors because we don't want to be judged. This is not only wrong, but incredibly cruel and horribly judgmental itself. It is the exact opposite of Christlike behavior. The reality of missions is that we maybe set them on too high a pedestal. We know how amazing and life-changing they can be -- that's why we encourage everybody who can to serve and make missionary work a personal responsibility in the church. Missions are incredible things, and if you're willing and able, they can only make you better than you are. But I think we sometimes forget about other important things. A few months ago, I, and a few others, had the opportunity to eat lunch with President Barrington of the Logan, Utah temple presidency. We sat down at our table and talked for a bit, introducing ourselves and such. The conversation, naturally, turned around temple worthiness and preparedness, as well as missionary work. At one point in the conversation, I watched President Barrington's face contort with frustration as we sat over soup and salad. "The temple has become nothing more than an item on a checklist for some of these missionaries getting ready to serve," he said, brow furrowed. "But the temple should really be the whole focus." Don't get me wrong, he later said, serving a mission is a great and important thing, but the temple takes priority. That conversation has been at the back of my mind ever since, in multiple contexts. Is the temple just an item on a checklist to us, whether that checklist be a personal, missionary, or future spouse checklist? Is it just a word on a page? Where is "temple worthiness" on our lists? Where is "the willingness and desire to take me to the temple" when we decide what we want in a companion? 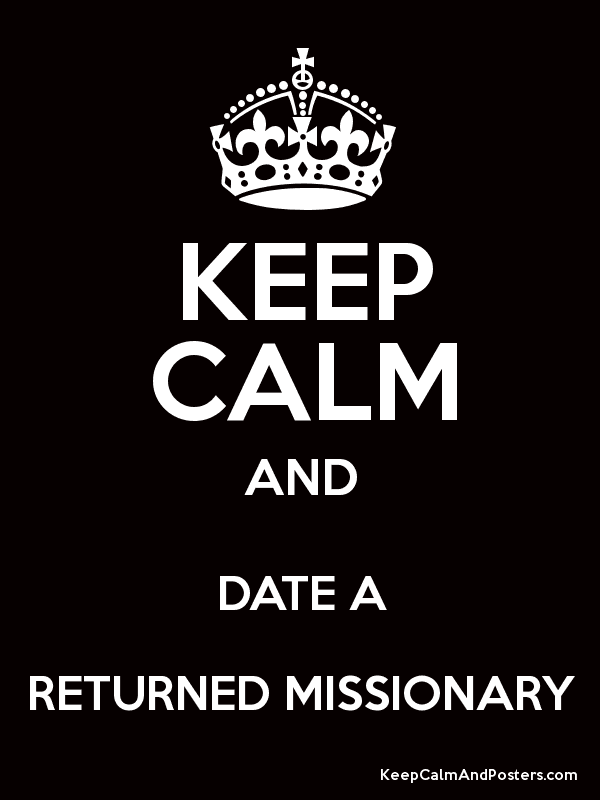 Is it below "returned missionary," as if one cannot exist without the other? Does it take less precedence than the mission itself? Too often, I think we misuse the scripture "by their fruits ye shall know them" in the context of missions. We assume that the mission is the fruit, that obviously a young man is good and upstanding and worthy of being married in the temple because he's served two full years. In reality, the mission is more like the climate the fruit has to grow in and fight in, just as the military or life or work or the critical culture of a hometown are the climates that other young men get to fight through. Half the Quorum of the Twelve are perfect examples of fruit flourishing without the aid of a mission. The fruit is simply what a person makes of themselves during and after their experiences. 1) Stop it, stop it, STOP IT. 2) Tell that to President Monson. Truth be told, I have seen both sides -- incredible returned missionaries who are a blessing to their community and others who struggle. I have seen what could have been "good fruit" decompose far too rapidly after some missions. I have seen some returned missionaries, men called "honorable" by their fathers and mothers, come home after two years, only to lose themselves in self-gratification, pride, self-righteous judgment, and reckless habits. I have watched RMs willingly distance themselves from the spirit. I have also heard stories of young girls being taken advantage of at the hands of someone they thought was trustworthy simply because he was a returned missionary. RM status has become just that: a status, one that seems to entitle certain wearers to certain perks that are in complete violation of everything they promised to stand for out in the field and the covenants they have made. These young men, the ones not living up to their covenants, are celebrated and respected, when others who try harder and, frankly, deserve better get nothing in return for it. That is wrong. Serving a mission is far more than serving the Lord for two years -- it's devoting yourself to Him for life, and some have managed to do that on their own while others fail almost immediately upon coming home. What a tragedy that is! I feel that we need to stop using "RM" as a status, as a justification, and as a qualification. It is certainly an accomplishment, and in most cases, returned missionaries are outstanding individuals. Lest I be misunderstood, I'm also of the opinion that serving the Lord on a mission is one of the most rewarding things you could do, and you should do it if you get the chance. But let's not forget about those who aren't RMs and let's not judge them. We cannot stigmatize young men (and these days, young women, because trust me -- it happens) who did not serve or only served for a short amount of time. Sometimes that's due to medical, spiritual, physical, or mental reasons that we can't see. For us to assume that they are less than or unworthy is for us to become Pharisees. Would Christ do that? Would he refuse to befriend and support and build a relationship with someone simply because they didn't serve a mission? If you think so, you do not know Christ. To those young men, who I know are struggling: the Lord knows you. You are so critical to His plan, and He loves you. He never stops loving you. Don't give up. For me, the phrase "returned missionary" has been replaced by the phrase "someone who is doing his best to become like the Savior," and there are lots of young men doing just that. Temple worthiness and dedication to the Gospel have taken complete priority, as they should. I have had remarkable examples of young men in my life who, though they were unable to give their lives to the Lord on a two year mission, have given their lives to Him anyway and never stopped trying. We owe them much more than we are giving them. Follow up: A few of you have commented that the Lord, through His prophets, has asked all worthy young men to serve, and you have expressed your shock that I did not mention that in this post. To that I say that yes, that is what He has asked. A mission is rewarding and beautiful, and it is one way to give back to the Lord, who has given us so much. We are told to serve because His children need us and we need to serve, not because it will make our neighbors think highly of us. I did not write this post to advise young men to break commandments of the Lord, nor did I write it to marginalize what He has asked of us. I wrote this post to advise everyone to keep His most basic commandment: love thy neighbor as thyself.